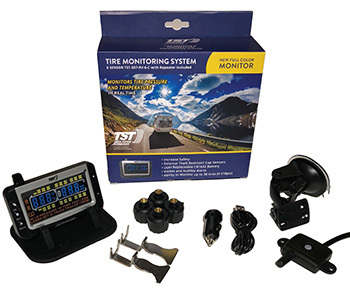 Below are 4 Tire Pressure Monitoring Kits manufactured by TST Truck. 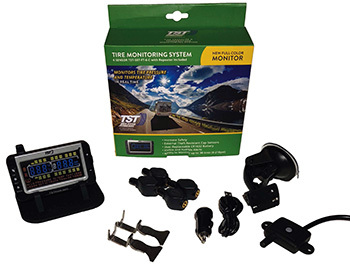 These kits monitor both Tire Pressure and heat. You can order these kits directly from Fifth Wheel Magazine and they will be shipped immediately. 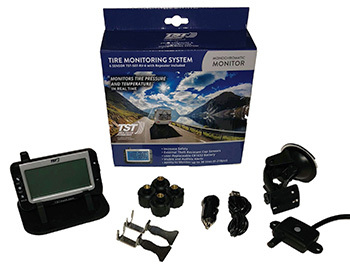 The kits come with Flow-Thru sensors which means you do not have to remove the sensor to inflate the tire, and cap type sensors which means you do need to remove the sensor to inflate the tire. 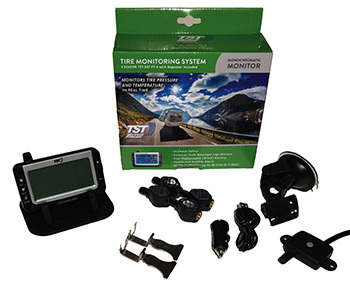 The kits all include 4 sensors and a free 507 repeater which ensures that no matter how long your 5th wheel is, the in-cab display receives a boosted signal from the tire sensors ensuring continuous accuracy.